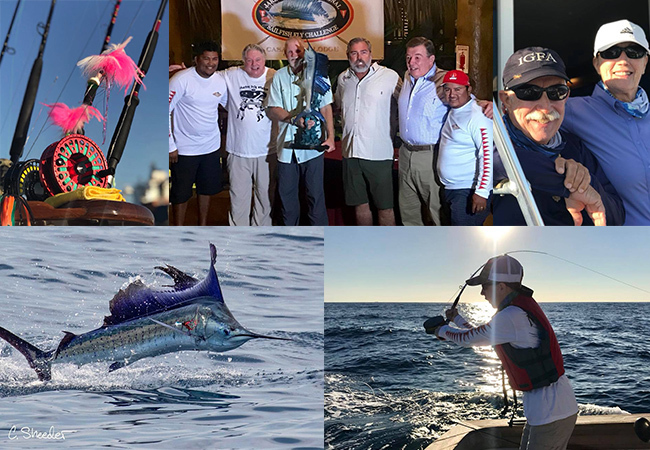 The ninth annual Jake Jordan Invitational Sailfish Fly Challenge tournament took place on January 7 (practice day) 8, 9, 10, (tournament dates), at the world-class Casa Vieja Lodge in Guatemala. This time for the first time ever, the fishing was slow for Guatemala standards, seems like some cold water moved in and pushed the fish off of their feed for a few days. 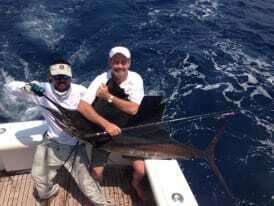 That said each of the 7 teams in the tournament caught sailfish on 20 pound tippet on the fly. We had several adjustments which changed some of our teams around. Rufus Wakeman was scheduled to fish aboard Intensity with his partner, Jed Dempsey. Dempsey was unable to make the trip so Wakeman sent his son Marlin to take his place. On the practice day, Marlin hooked, fought , and landed his first ever Blue Marlin on fly. Chris and Diane O’Neill were scheduled to fish aboard Makaira. Chris was also unable to make the trip, which caused Diane to bring a different partner, their 13-year-old son Ryan. Ryan caught and released the first 2 sailfish he’s ever seen. He released them on 20 pound class tippet on the fly, then he got to watch his mom, cast a fly to a Blue Marlin, and catch that Blue Marlin on Fly. This was her 6th Blue Marlin since she started fishing with Jake Jordan 4 years ago. 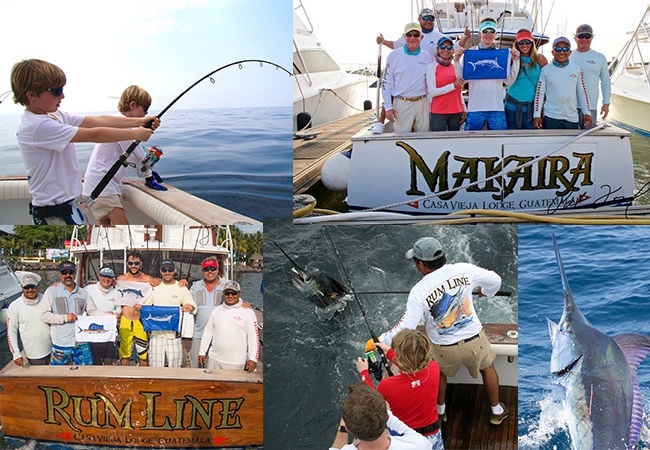 In the end, the final score had Anglers Diane and Ryan O’Neill finishing with 450 points aboard Makaira, with Captain Jason Brice, finishing in third place. Second place went to angler George Maybee who fished aboard Affinity with Captain Nico, with 450 points, and the World Champion team for 2018 is Danny Cline and Nat Harris fishing aboard Finest Kind, with Captain Chris Sheeder, they scored 850 points. Congratulations to all who participated! Casa Vieja Lodge now consists of 10 private charter boats and is the only fleet in the business that posts their daily fishing reports online for the world to see great, good, or average, because they like to believe there’s nothing below average when you are out on the water! See HERE for daily reports. 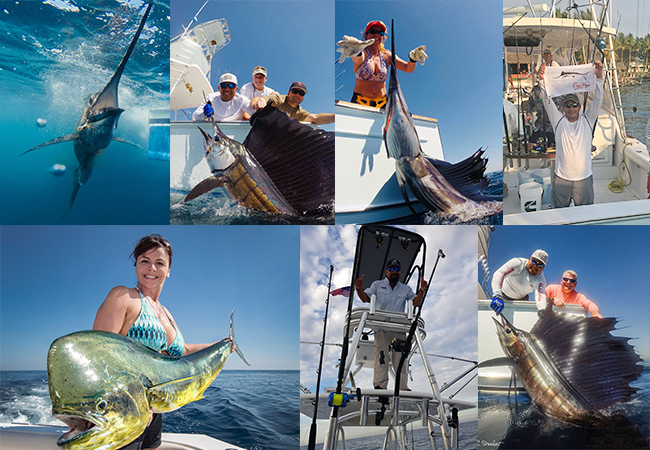 A big CONGRATS to our captains, mates, and anglers of Casa Vieja Lodge! Catch us on the road starting this weekend! 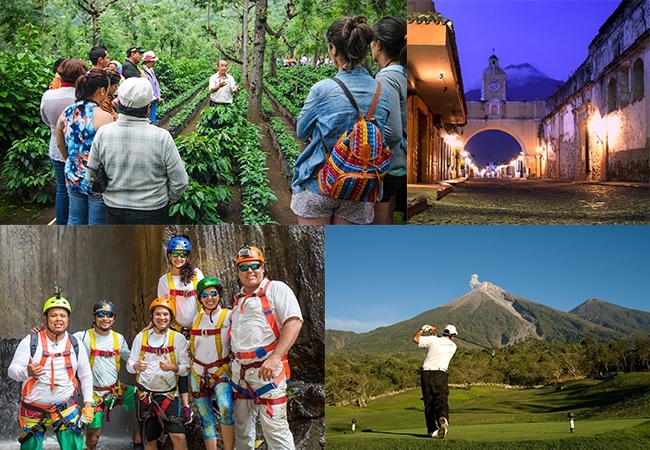 Stop by and say HOLA! PreviousPrevious post:2017 CVL Billfish Season: 28,051 Raises, 23,535 Bites & 13,949 ReleasesNextNext post:1,500 Sailfish Releases Since February 1st!